The secret investigation and arrest highlight what critics say is endemic fraud and corruption in the Indian-dominated H-1B visa-worker program. “The criminal complaint describes how two companies incorporated by [CEO Pradyumna Kumar Samal] in 2010 and 2011, engaged in a scheme sometimes referred to as a ‘bench-and-switch’ scheme, to exploit foreign-national workers, compete unlawfully in the market, and defraud the U.S. government,” said the statement from the Department of Justice. Nearly 200 workers may have been brought in under the phony applications. The employees were forced to pay SAMAL’s companies a partially-refundable “security deposit” of as much as $5,000 for the visa filings, regardless of whether they were assigned to any projects that provided them with income. 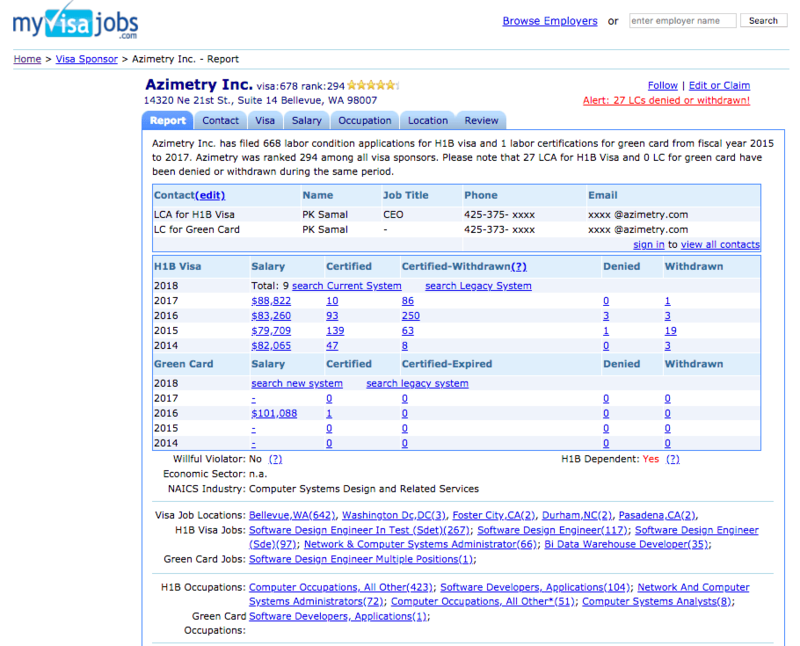 Since 2014, Samal’s two companies have asked for roughly 700 H-1B visas and six green cards, according to MyVisaJobs.com. The 700 requests are likely to have gotten 200 visas for foreign workers who can be subcontracted at very low rates out to other technology firms in the Seattle area. One of the companies, Divensi, says it has worked with Amazon, Alaska Airlines, Microsoft, Physicians Interactive, Tesla, Nordstrom and the University of Washington. The H-1B visa program was created to allow companies to import temporary workers until Americans could be trained for the jobs. But lobbyists persuaded Congress to gradually convert the program into an outsourcing program that imports roughly 100,000 low-wage foreign college-graduates per year. 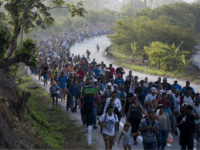 The estimated number of H-1B workers in the United States ranges from 450,000 up to 900,000, partly because many H-1B workers will extend their work visas — even when they are working for lower wages — because they hope to get the huge bonus of green cards. The number of former H-1B workers who now have green cards or citizenship is also very large, and it includes the current CEOs of Google and Microsoft. The cheap-labor program is widely used and strongly defended by many companies, including Amazon and Microsoft, by many universities and hospitals, and by investors’ lobby groups, such as FWD.us. These CEOs and investors can use the visa programs to spike their stock prices by outsourcing the jobs held by many mid-career Americans to the Indian companies, which then use their U.S.-based visa-workers to outsource the work to even cheaper workers living in India. Many GOP and some Democratic legislators support this double-outsourcing program, including Kansas GOP Rep. Kevin Yoder. He is pushing his HR 392 legislation into the 2019 spending bill that would put roughly 400,000 Indian and Chinese H-1B visa-workers — plus their families and relatives — on a fast-track to green-cards. If passed, the Yoder legislation would further increase the supply of white-collar workers competing for jobs in the United States. The various visa programs, including H-1B, OPT, H4 EAD, L-1, TN, and J-1 programs, keep a population of roughly 1.5 million foreign graduates employed in the United States as managers, recruiters, scientists, programmers, engineers, doctors, accountants, therapists, and designers. These huge labor programs help to lower salaries for many American college graduates and to push many skilled American workers into new, low-tech, lower-wage careers, such as journalism. The visa-worker programs allow the Indian-born CEOs in the U.S. to transfer many Indian tech-workers to the United States for subcontracting jobs, including many contracts that the companies hope to win during the next year. But the H-1B rules bar this “bench and switch” practice and require companies to justify each new request for a visa against an existing job. Nonetheless, many Indian and U.S. companies import H-1B workers and use their very low salaries to win a variety of contracts that would otherwise have gone to American consultants. Samal appeared to get pushback from a client after the U.S. Citizenship and Immigration Services (USCIS), part of the Department of Homeland Security, started investigating Samal. The CEO of a client company used in the [H-1B visa] application letters emailed Samal after USCIS contacted him, according to the case. The American critics of the visa-worker programs are trying to block Yoder’s HR 392 fast-track legislation, partly by arguing that it will allow Indians managers to discriminate against Americans, and so push more Americans away from technology careers. The American groups include Protect US Workers and U.S. Tech Workers. 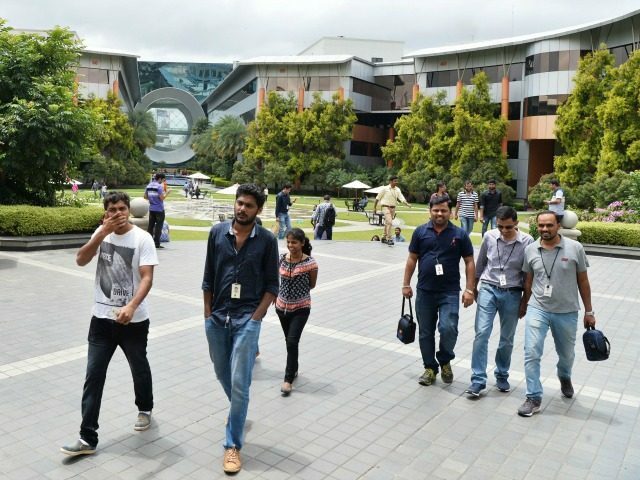 A former senior executive at Infosys [Technologies Ltd.] has accused Indian software major Infosys of a racist bias that favors Indian techies over others. Since then, the lawsuit claims, “…Plaintiff (Green) was not promoted, and no white or black employees on Plaintiff’s teams were ever promoted, progressed, or given salary increases.” Only the careers of south Asians progressed. Binod Hampapur, whom Nayak reported to, is also called out in the complaint for not curbing the discrimination. H-1B fraud is one of the top two visa categories for fraud throughout Mission India. All posts regularly encounter inflated or fabricated educational and employment qualifications. The vast majority of these documents come from Hyderabad. In the 18 months prior to the start-up of consular operations in Hyderabad, FPU Chennai investigated 150 companies in Hyderabad, 77 percent of which turned out to be fraudulent or highly suspect (ref F). Most of those cases slated for site visits were to verify the experience letters for H-1B applicants who did not meet minimum educational qualifications. I think by and large, the Indian mindset is always to take the soft option. … Our managers will have to learn with non-Indian professionals … how to make sure that we understand the rules of crossing cultures. So therefore I think this is a learning opportunity for our senior people. This is not an easy option, it is s very tough option, but the earlier we start, the better it is for us. 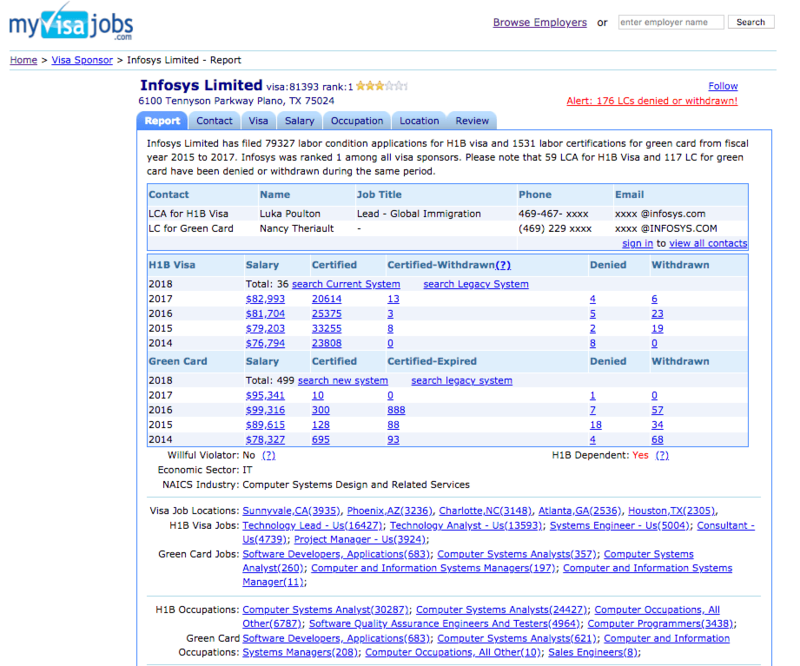 Many ads are posted on Indian websites offering people to coach job-seekers during job interviews. 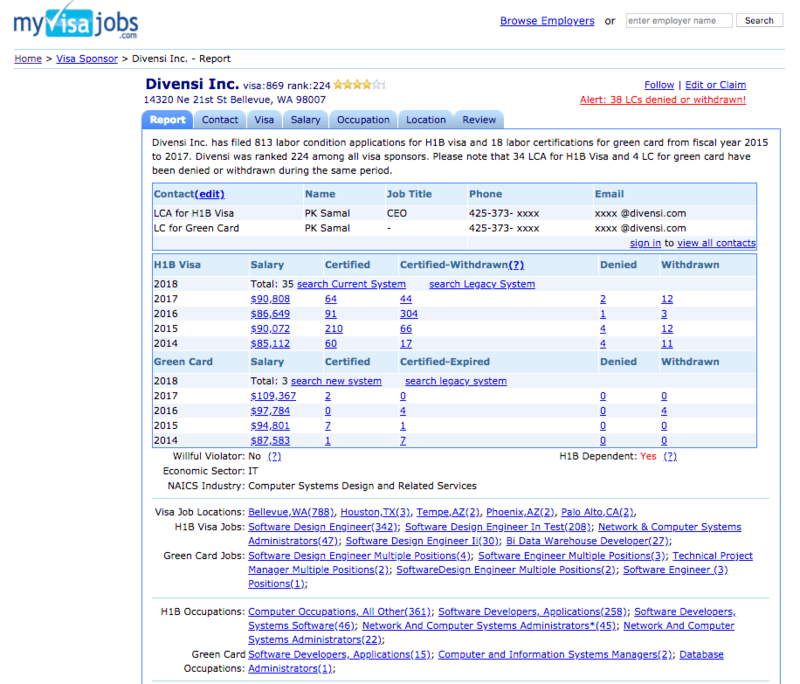 Critics and news outlets have frequently reported widespread resume fraud and legal gaming of the federal rules used to allocate work visas and green cards.